The Apostle Matthew, also known as Saint Matthew and Levi, was one of the twelve disciples of Jesus Christ. He is traditionally regarded as the author of the Gospel of Matthew. When Jesus called Matthew to follow him, he was a tax collector (or “publican”)—one of the most reviled professions in ancient Judaism. Little is known about this apostle. Aside from a handful of mentions in the gospels, he’s a surprisingly obscure New Testament figure. And despite the fact that the church has long considered him the author of the Gospel of Matthew, little else was ever recorded about him. While Matthew is honored as a martyr, no one knows for sure where or how he died. Various accounts say he was beheaded, stoned, burned, or stabbed—one even suggests he died of natural causes like John. There are legends about his ministry, but no substantial records of his role in the early church. Later apocryphal texts emerged claiming to be written by him, and some early church fathers supported these texts, but the works only survive in fragments and quotations, and modern scholarship is divided on their authorship. So what do we really know about him? 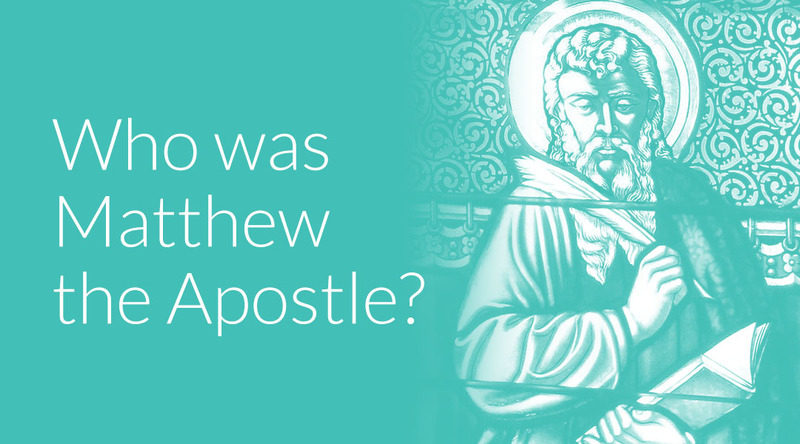 We’re going to look at what the Bible says about Matthew, what we know about the gospel that bears his name, and some other tidbits about this enigmatic apostle. First, here are the quick facts. Virtually everything we really know about Matthew comes directly from the gospels. He’s mentioned in all three Synoptic Gospels (Matthew, Mark, and Luke), and listed among the disciples in Acts. But that’s it. Including parallel passages, there are just seven mentions of him in the entire Bible. Only one (and its parallels) gives us any substantial details about him. These accounts so closely parallel each other that it’s hard to imagine they aren’t speaking of the same person. There are several possible explanations for this difference. Some argue that Levi was this person’s tribal name—meaning he belonged to the tribe of Levi—and that Matthew was a more personal name. Others suggest this person was originally named Levi, but that Jesus called him Matthew (similar to Simon, who Jesus named Peter). And it’s also possible that it’s simply a matter of him having a Greek name (Matthew) and a Hebrew name (Levi), like how the Apostle Paul was also known by Saul. Since this person was a Jew who worked for the Romans, it wouldn’t be surprising to learn that he was known by both names. As we just learned in the passages above (Matthew 9:9, Mark 2:14, Luke 5:27–28), Matthew was a tax collector, or a publican—someone who was contracted by the Roman government to collect taxes. As a Jew, stepping into this profession was essentially an act of betrayal to his people. Tax collectors had very little accountability. They’d be told to collect a specified amount of money, but they could tell people they owed a different amount, and they had no power to dispute it. Tax collectors earned a reputation for telling people they owed more than they did and pocketing the difference. To the Jews, tax collectors were the embodiment of sin. When tax collectors came to be baptized by Jesus, they said, “Teacher, what shall we do?” and he told them: “Collect no more than you are authorized to do” (Luke 3:12–13). Fun fact: As a tax collector, Matthew would’ve presumably been great with money, and modern readers would think he’d be an ideal candidate for the group’s “official treasurer.” But given the reputation of tax collectors in first-century Judaism, that would’ve been a bad move politically—which might be why the disciples gave the job to a guy named Judas Iscariot. Think about that: they were worried about putting a tax collector in charge of their money, but Judas not only stole from the money bag (John 12:6), but ultimately betrayed Jesus. The Bible says we’re all sinners (Romans 3:23), but in ancient Judaism, the label was reserved for the worst of the worst—like tax collectors. Tax collectors were sinners by trade, lying and cheating their way into riches and robbing from even the poorest among their people. They were religious outsiders, because the way they practiced their profession openly defied the law of Moses. The richer they were, the worse they were assumed to be. After Jesus calls him, Matthew hosts a gathering at his house, and as he and his unsavory companions dine with Jesus, the Pharisees ask why Jesus eats with tax collectors and sinners (Matthew 9:11). By calling Matthew, Jesus was proclaiming that no one would be excluded from his movement—not even those society considered irredeemable. As one of the twelve apostles, Matthew was there throughout almost all of Jesus’ ministry. The only people who saw more of who Jesus was and what he was capable of were Peter, James, and John. Some argue that Matthew’s role as an eyewitness is evidence that he didn’t write the Gospel of Matthew. Matthew’s gospel appears to rely heavily on Mark’s (which is why there are so many parallel passages), but the Gospel of Mark is believed to have been written by a man named John Mark, who was not an eyewitness. So why would an eyewitness use an account written by someone who wasn’t there? There are a few counter arguments, but the main one is that the early church claimed John Mark wrote down Peter’s account of Jesus’ ministry . . . and Peter saw more of Jesus than Matthew and was a pillar of the early church, so . . . *shrug*. Besides this, Matthew gives Peter a good deal of positive attention in his gospel. It’s possible that out of respect, friendship, or deference, Matthew used Peter’s account for consistency’s sake. Matthew is considered one of the “Four Evangelists.” This is a title reserved for Matthew, Mark, Luke, and John—the traditional authors of the four gospels. It comes from the Greek word evangelion, meaning “good news.” These four writers proclaimed the good news of Jesus Christ with their writings. However, some translations render “scribe” in Matthew 13:52 as “teachers of the law,” and in context, Jesus certainly seems to be talking about those with a religious background—he speaks of angels separating the wicked from the righteous (Matthew 13:49)—and it seems more likely that bringing out “new treasures as well as hold” would refer to their knowledge of the Law and the prophets in light of the gospel. That said, yes, Matthew could technically be called a scribe—but probably not as it’s often used in the Bible. When and where did Matthew live? In order to be a disciple of Jesus Christ, Matthew obviously would’ve had to live at the same time. Most scholars believe Jesus lived from sometime around 4 BC to around 30 or 33 AD. Since we don’t know how old he was at the time he met Jesus, we can’t be certain he was born in the first century, but he certainly lived then. The date of his death is unknown. Jesus encountered Matthew at a tax booth in Capernaum—a city on the shore of the Sea of Galilee. There are several conflicting accounts about Matthew’s death. The earliest records say he carried out his ministry in “Ethiopia” (not what we consider Ethiopia, but a region south of the Caspian Sea), Persia, Macedonia, and/or Syria. 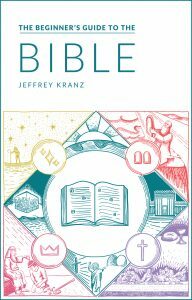 Who wrote the Book of Matthew? The Gospel of Matthew’s author is anonymous, but Matthew the Apostle is traditionally considered the author. The early church claimed he wrote it, and the attribution “according to Matthew” was added possibly as early as the second century. While there are credible arguments against his authorship, no alternative writer has been named. So it’s more than a little unclear what exactly Papias is referring to. Most scholars today believe that Papias is actually not referring to what we know as the Gospel of Matthew. Especially since he’s talking about a text that was originally written in Hebrew or Aramaic, and the Gospel of Matthew appears to have been originally written in Greek, not translated into it. Still, that doesn’t mean Matthew didn’t write this gospel as well. Some argue that the Gospel of Matthew includes internal evidence linking it to Matthew’s profession, which could indicate he was the biblical author. The Gospel of Matthew talks about money in more detail and greater frequency than the other gospels—similar to how the Gospel of Luke, written by Luke the physician, includes greater detail about ailments and uses precise medical terminology. It seems that the author paid particular attention to Jesus’ statements about money, had a greater understanding of financial matters, and saw finance as a helpful lens to understand the gospel. Ultimately, without a byline, we can’t confirm or deny who wrote the Gospel of Matthew. But for centuries, the church has claimed it was the Apostle Matthew. In the first few centuries of the church, countless legends sprouted about the apostles—so many that it essentially became its own genre. Many of these legendary accounts were pseudepigrapha—meaning they falsely claimed to be written by a well-known Christian—and included miraculous events and Gnostic teachings. Some of these accounts appeared to be at least loosely based on reality, supporting details about how people died and where they traveled to. But that’s not the case for the Acts and Martyrdom of St. Matthew. In it, Jesus appears to Matthew as a boy and tells him to go to the city of Myrna (an unknown location), which is inhabited by “man eaters.” Upon arriving there, Matthew performs miracles and casts out demons. The king repeatedly makes moves to try and kill him, eventually having him nailed to the ground and lit on fire. Instead of killing Matthew, the fire burns down the king’s idols and engulfs some of his soldiers. Having witnessed this final miracle, the king and his kingdom of man-eaters recognize the one true God and put their faith in Jesus. The end. When it comes to the Apostle Matthew, there’s not much to go on. But what we do have—the gospels—shows us that Matthew was one of Jesus’ most powerful examples of the forgiveness God offers everyone. This tax collector was reviled for who he was, but Jesus loved him for who he was. And despite his position as a religious outsider, Jesus gave him a prominent position within what would eventually become the largest religion in the world.